Recruitment International Marketing Campaign of the Year! 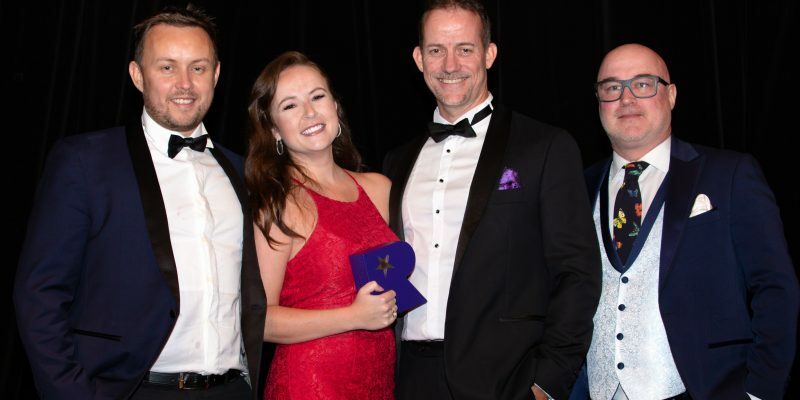 2019 continues to be a big year for HorizonOne Recruitment with a recent win at the Recruitment International awards. Held annually, the RI awards are one of the most coveted and prestigious accolades in the recruitment sector, recognising innovation and best practice in the industry. Directors, Simon & David and Marketing Manager, Fiona were at the gala dinner representing the team and to accept the trophy for winning Marketing Campaign of the Year. Our submission for the award centered around our work with the Regional Investment Corporation, a new Government agency offering farmers emergency financial relief and encouraging growth, investment and resilience in Australia’s regional communities. This campaign was an overwhelming success with fantastic candidates for over 25 roles secured via our extensive marketing efforts. Winning the award is recognition of a changing approach to recruitment. Our service of partnering with clients to create bespoke marketing campaigns which align with their recruitment needs has become an incredibly powerful way to attract and secure talent. Our clients are loving the results, it’s wonderful to have industry recognition as well. We were also named finalists for the Growth Company of the Year award. The last 2 years we have seen huge business growth with exceptionally strong performances from our entire team. It was a fantastic achievement to be shortlisted amongst some very big hitters in the recruitment industry. Thank you to David Head from RI and sponsors Prime Super for a wonderful event and enjoyable evening. Do You Have a Secret Summer Spot in Canberra?